Don’t just live…thrive 100% vegetable juice. Only half the calories of orange juice. Only 14g of carbohydrates. 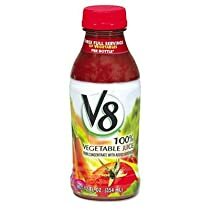 Beverage Type: Juice Flavor: Vegetable Packing Type: Bottle Capacity Volume: 12 oz.